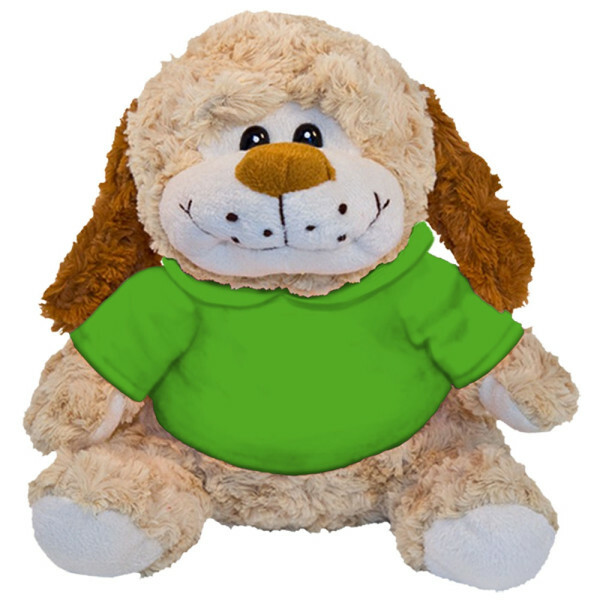 This customizable 10" plush dog is perfect for nearly all gift shops and special occasions. Their standard body positions and shapes make them well-suited for a wide range of different purposes. Especially, they can come with specially embroidered or hot-stamped t-shirts or hoodies. Souvenir plush toys are perfect for just about any occasion. Not only does there relaxed sitting pose allow them to be posed in just about any gift shop, the best feature is their customizable clothing. Whether it be an embroidered t-shirt or a hot-stamped hoodie, these stuffed animals will look great! The fabric is super soft and the stuffed polyester make them perfect for cuddling. Not to forget, they are just the ideal vacation souvenirs. These extra soft 10” inch plush animals feature your choice of customizable t-shirt or hoodie. Start by choosing your animal, t-shirt or hoodie, color, and then click the thumbnail to choose the product image to add text or upload an image file. Simple designs and letters will be embroidered (2 colors max), while complex logos and designs will be heat-stamped. Turn-around time is between 30 – 45 days, and the animal will not be pre-dressed upon shipment. Animals can be dressed for an additional charge of $0.25 per unit. Our full service art department can help prepair your logos and graphics for foil stamp or embroidery. Foil Stamped: Foil stamping is a process of printing a graphic and heat stamping it on to the plush. This is for complicated graphics with fine details and mulitple colors. Embroidered: Embroidering is done for text and simple solid graphics. This is done with a needle and thread and has limitations on on fine details and colors. Our designs can help convert / modifi graphics for embroidery if requested. 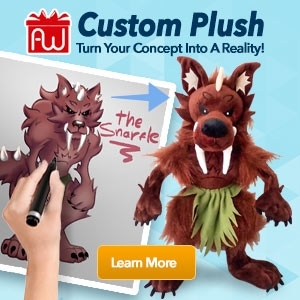 Note: Custom orders are not fully refundable once in production. Custom preview is only a tool used to vizulize the concept of the design actual results may defier. Please contact if you have any questions or inquiries.